The one thing that is evident when moving through Europe is that the further East you go the options, in term of beer types, becomes markedly reduced. Lager of course is the predominant style, but for those who live in such areas and crave something different, such as top fermented ales, it can be much harder to find. Yes there are the occasional imports, but with the predominance of local breweries in given areas (ironically often owned by the multi national conglomerates from the West) it can be a struggle to find them amongst the swathes of local and International lager brands. That is why the arrival of a new brewery in Northern Bulgaria is something of note. Established in 2014 what sets this brewery apart are two things, firstly it is a micro, something the country has very few of, and secondly it produces top fermented ales in the British style. This is quite a departure which is an exciting development for those seeking the pleasure of top fermented brews. Based just outside Varna the brewery was founded by Deyan Ivanov, who is also head brewer, and uses the latest technology and high tech plant to produce its ales. Giles Smeath of the Dorset Brewing Company was brought in initially to help formulate recipes and to get the project underway. The range has a strong British theme running through it from Special English Ale, Premium Ale, and a London Porter. The packaging to is good too, with stylish labels giving a qualitative feel to the product. 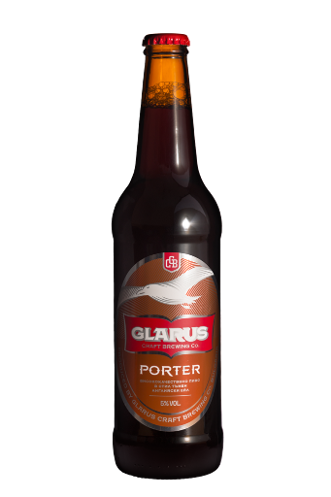 To date I have only been able to try one of the beers the Porter which was medium weighted, well made, and needs just a touch more in the way of roasted dark malts to give it that marked flavour edge on the finish to make it truly distinctive. Nevertheless a promising start. Lets hope this is the beginning of a micro revolution in Bulgaria that breaks the lager belt which surrounds the country. There is definitely a demand for top fermented brews with distinctive flavours, so from small beginnings lets hope it escalates. Some may view it as an upward fight to convince the masses - but that is the very essence of a micro 'Revolution'.